i’ve wanted to hike the defeat ridge trail to chimney rock and thunderhead for a long time. 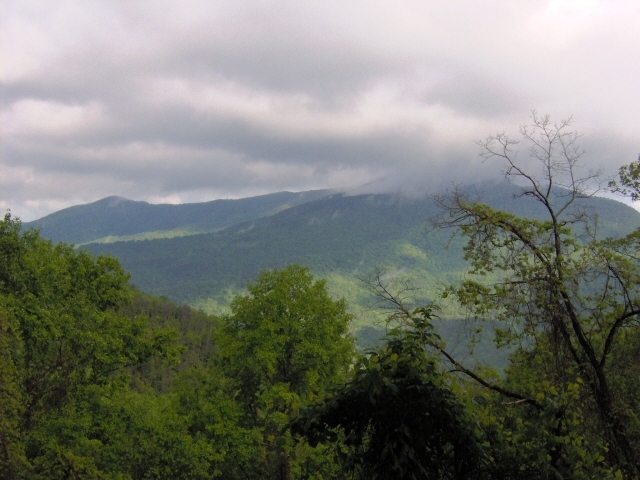 five years ago i made a list of smokies bushwhacks i wanted to do – i hadn’t even completed my first smokies bushwhack yet. defeat ridge was on it, and on the list it remains! Definitely one of the classics! It’s been so long since I’ve been up that way, I have no idea what shape the manway is in now. One thing I didn’t put into the post–my scariest bear encounter ever was on the Defeat Ridge manway! seems like you may have mentioned this to me: didn’t you encounter one head on while on hands and knees in the rhodo tunnel??!?! Yup, that’s what happened! We were shocked, and the bear was shocked, too. He started making those “chuffing noises” you hear about. My hiking buddy Paul Threlkeld and I started yelling and clapping our hands and stretching out our arms to “make ourselves look larger,” which is one of those funny tips you hear for when encountering aggressive wildlife. Fortunately, the bear went off the side of the manway. I would love to hear the whole bear story. How many have you encountered? Oh, I have seen many bears! One of my favorite encounters was near the Cades Cove picnic area (a place you’re almost guaranteed to see bears at dusk, when they come in for dinner). I saw three cubs climbing up the trees, just effortlessly! Mama bear was behind them, watching but not moving toward us. Another time I saw two cubs and then realized Mama was on the other side of us. That was a bit scary, but nothing happened. I am not usually afraid of black bears. Grizzlies are another story. One time in grizzly country I washed a boulder with hot soap and water after I accidentally spilled some of my dinner on it… have never seen a grizzly up close. I really enjoyed re-reading your post this afternoon after studying GPS topos of this area last night. This post is one of my ‘new’ favorites. Thanks, Jenny. Glad you enjoyed it, Doug. I’d like to go back there one of these days. This afternoon I made it up to where the old bridge must have been crossing Thunderhead Prong. I missed the turn through the rodo tunnel, decided to just head back to the car and saw a faint trail back to my left. My goal was to make it to where it crossed Thunderhead and thankful I succeeded! Thanks for your comment. I’m glad you persisted with that. I haven’t been back there for many years. The main reason is that I now live in North Carolina rather than Knoxville, and for me it’s a long drive around to that area. 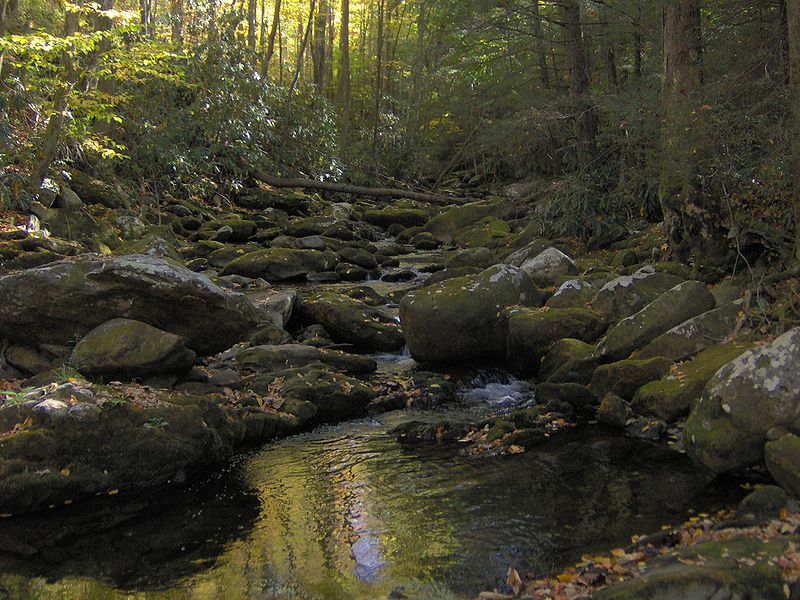 I tend to focus more on the central Smokies (like around LeConte or Anakeesta Ridge or upper Lester Prong) and the areas like Raven Fork near the Cherokee reservation.